The 2015 Dietary Guidelines for Americans recommends we all limit added sugar to no more than 10% of our daily calories. But right now, on average, Americans consume 13% of their daily calories from added sugar, and soft drinks, sweetened beverages, and desserts are the biggest culprits. Kids and teens tend to have the biggest sweet tooth. 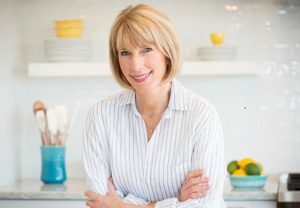 In Part 4 of my 5-part blog series on easy ways to improve your family’s diet, I’ll show you what all that sugar looks like and serve up 5 tips for slashing the added sugar in your family’s diet. According to the Dietary Guidelines, naturally occurring sugars, such as those in fruit or milk, are not added sugars. 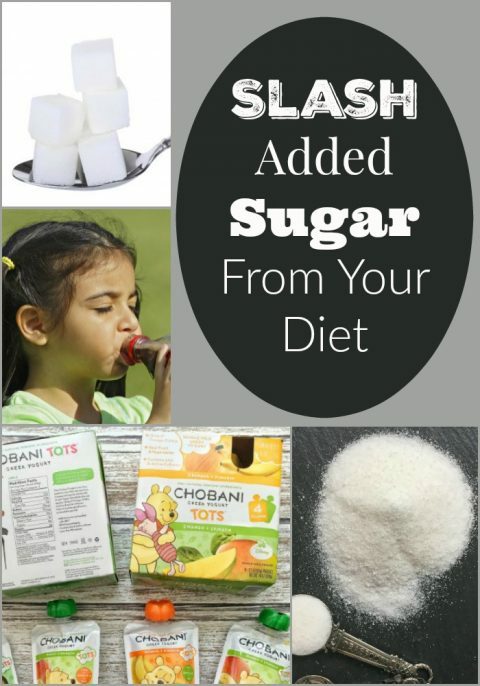 Specific examples of added sugars that can be listed as an ingredient include brown sugar, corn sweetener, corn syrup, dextrose, fructose, glucose, high-fructose corn syrup, honey, invert sugar, lactose, malt syrup, maltose, molasses, raw sugar, sucrose, trehalose, and turbinado sugar. 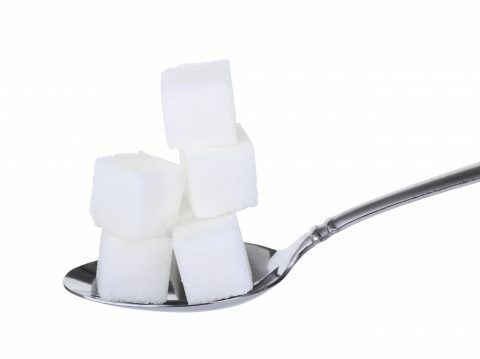 Sugar-laden foods add calories to the diet, often without contributing nutrients. And since things like soft drinks and sugar-sweetened treats are frequently filling, they displace other more nutrient-rich foods from the diet. 1. Be a Label Sleuth: Read labels and comparison shop. 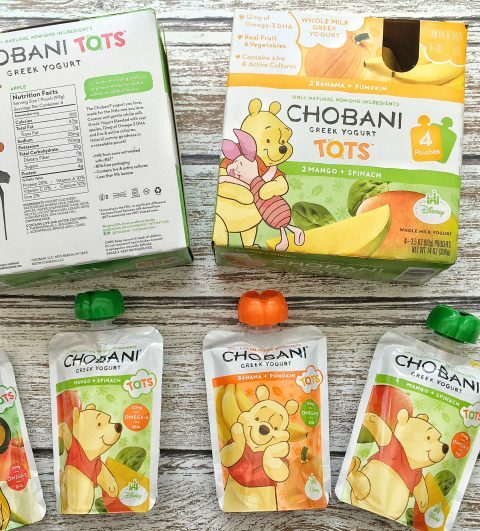 Chobani Tots® Pouches, for example, are sweetened with only natural ingredients—apple, mango, spinach, banana, and cane juice. The Tots also contain 12 milligrams of DHA omega-3 fat and probiotics, which are thought to be helpful in promoting digestive health. Chobani Kids® Greek Yogurt Pouches and Tubes are also sweetened naturally with ingredients like banana puree, so they have 25% less sugar and twice the amount of protein of other kids’ brands. I created this blog content in partnership with Chobani Kids® Greek Yogurt Pouches and Tubes. I was compensated for my work and, as always, all opinions are our own. 2. Hydrate with Water: Parents often ask me about the best hydration for kids when they’re playing sports. When my boys were young and played town soccer on the weekends, there was a tendency for parents to pack along sports drinks for their kids. Here in New England, it’s often chilly outside, so young kids don’t sweat a lot. 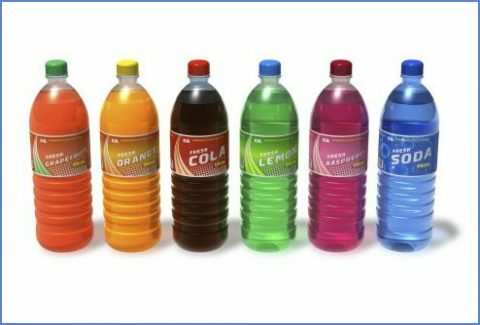 Therefore, there’s really no need to hydrate with a sugary sports drink since few electrolytes are lost during a chilly morning on the soccer field. 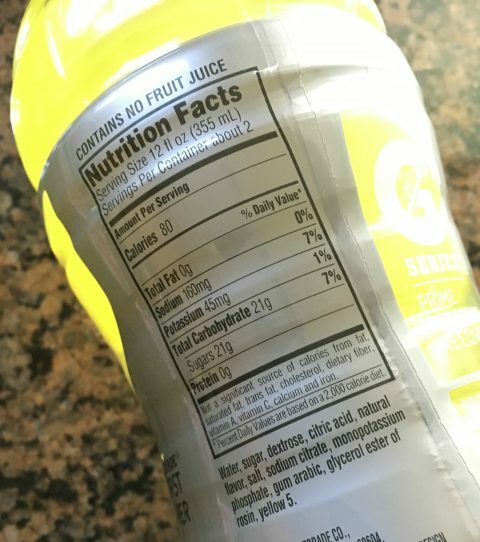 The second ingredient in this sports drink is sugar, and those 21 grams of added sugar (per 8-ounce serving) is equal to over 5 teaspoons. 3. 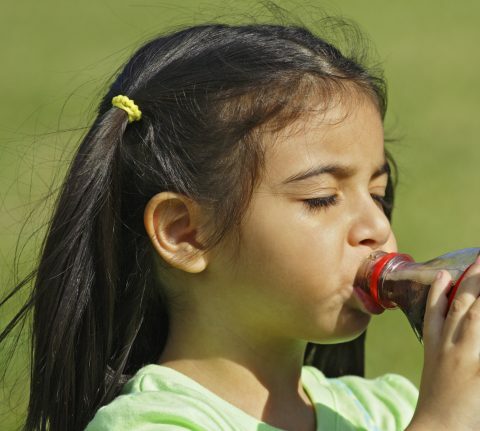 Swap Sugary Soft Drinks for Milk: Here’s a statistic that’s sure to make your head spin: Adolescent boys and girls drink more soft drinks each day than milk. On average, males ages 12 to 19 drink 22 ounces of full-calorie soda per day but only 10 ounces of milk. As for girls, they consume 14 ounces of soda versus just 6 ounces for milk. So my message here is to drink milk instead of soft drinks. 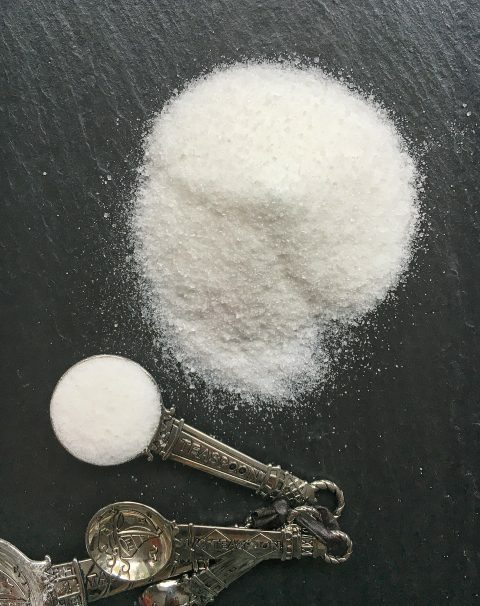 A 12-ounce can of soda has 39 grams of sugar, or about 10 teaspoons. 4. Stick to Real Fruit vs. Fruit Snacks: Real fruit—things like berries, apples, oranges, pears, bananas, and mango—are the ultimate grab-and-go convenience food and provide health-promoting fiber, vitamins, minerals, and antioxidants. And fruit is naturally sweet. Heavily processed fruit “snacks” on the other hand, often contain little to no real fruit and lots of added sugar. 5. 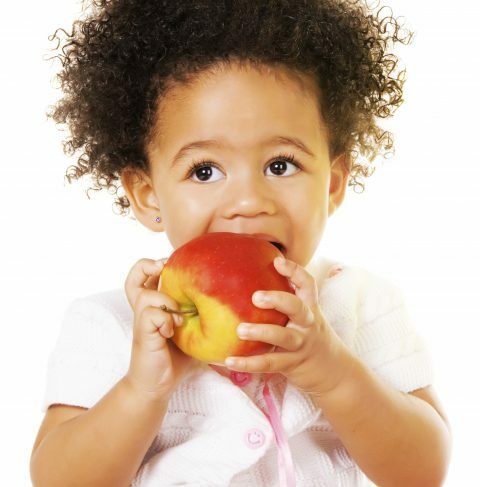 Avoid Early Introduction of Sugary Foods: The longer you can hold off on the sweet stuff the better. Once you expose a child’s taste buds to lots (and lots) of sugar, it’s hard to turn back. 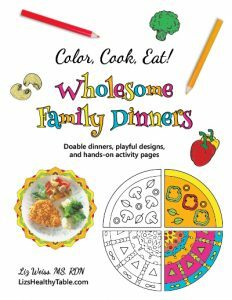 Turn to a variety of flavors and textures from fruits and vegetables, yogurt, whole grains, and lean protein foods and reserve sweet treats for special occasions. 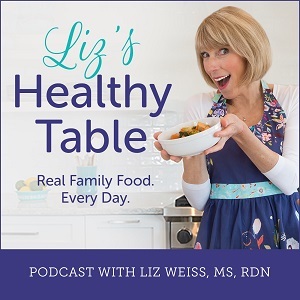 What are your best strategies for slashing the sugar in your family’s diet? How do you satisfy your sweet tooth? 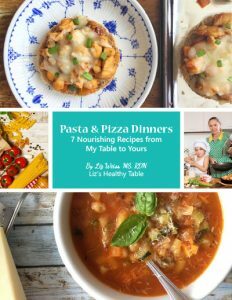 Great post and tips ladies! It boggles my mind when I see parents giving their kids sports drinks, sugar filled fruit snacks, and refined carb-rich crackers and snacks. And at the same time they complain their kids don’t eat veggies or that yogurt is so high in sugar! Parents really need to be educated on feeding their kids. Can’t wait to share this!